NIAGARA-ON-THE-LAKE, July 26, 2013 – Prince Edward Island Premier Robert Ghiz is pleased to announce that the 2014 Council of the Federation meeting will be held in historic Charlottetown, Prince Edward Island from August 26th, 2014 to August 30th, 2014. “I look forward to hosting my fellow Premiers in Prince Edward Island in 2014,” Premier Ghiz said. 2014 is the 150th anniversary of the historic Charlottetown Conference where the Fathers of Confederation met in 1864. 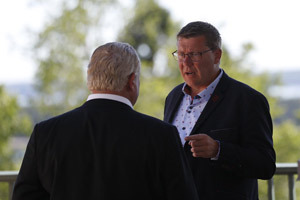 "Premiers come together annually at the summer meeting of the Council of the Federation to discuss issues of importance in the Confederation. 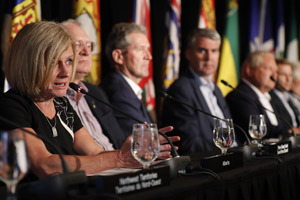 Next years’ meeting will be an opportunity to have these discussions in the birthplace of Confederation on the anniversary of the historic meeting which laid the groundwork for the Canadian federation,” noted Robert Ghiz. 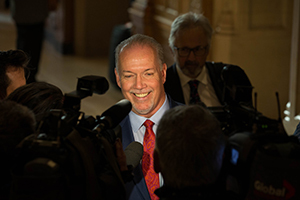 Premiers also agreed to add the three territories to the chairing and hosting rotation for the Council of the Federation, starting in 2016. 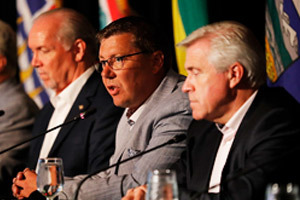 The Council of the Federation was founded at a meeting in Charlottetown in 2003. 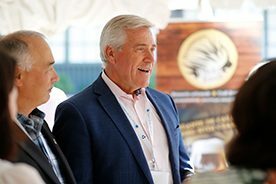 The Council was established to promote provincial-territorial cooperation and closer ties between members, foster meaningful relations between governments based on respect for the Constitution and recognition of the diversity within the federation, and show leadership on issues important to all Canadians.